to these circuits, the AD736 offers higher accuracy at an equal or lower cost. The AD736 can compute the rms value of both ac and dc input voltages. It can also be operated as an ac-coupled device by adding one external capacitor. In this mode, the AD736 can resolve input signal levels of 100 μV rms or less, despite variations in temperature or supply voltage. High accuracy is also maintained for input waveforms with crest factors of 1 to 3. In addition, crest factors as high as 5 can be measured (introducing only 2.5% additional error) at the 200 mV full-scale input level. he AD736 allows the choice of two signal input terminals: a high impedance FET input (1012 Ω) that directly interfaces with High-Z input attenuators and a low impedance input (8 kΩ) that allows the measurement of 300 mV input levels while operating from the minimum power supply voltage of +2.8 V, −3.2 V. The two inputs can be used either single ended or differentially. The AD736 has a 1% reading error bandwidth that exceeds 10 kHz for the input amplitudes from 20 mV rms to 200 mV rms while consuming only 1 mW. The AD736 is available in four performance grades. The AD736J and AD736K grades are rated over the 0°C to +70°C and −20°C to +85°C commercial temperature ranges. The AD736A and AD736B grades are rated over the −40°C to +85°C industrial temperature range. 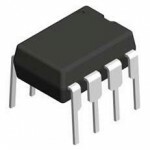 The AD736 is available in three low cost, 8-lead packages: PDIP, SOIC, and CERDIP. The AD736 is capable of computing the average rectified value, absolute value, or true rms value of various input signals. Only one external component, an averaging capacitor, is required for the AD736 to perform true rms measurement. The low power consumption of 1 mW makes the AD736 suitable for many battery-powered applications. A high input impedance of 1012 Ω eliminates the need for an external buffer when interfacing with input attenuators. A low impedance input is available for those applications that require an input signal up to 300 mV rms operating from low power supply voltages. 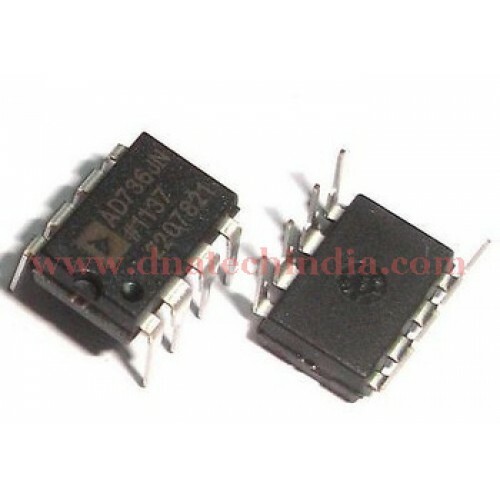 AD737 RMS to DC ConvertorThe AD737 is a low power, precision, monolithic, true RMS to DC Convertor. ..